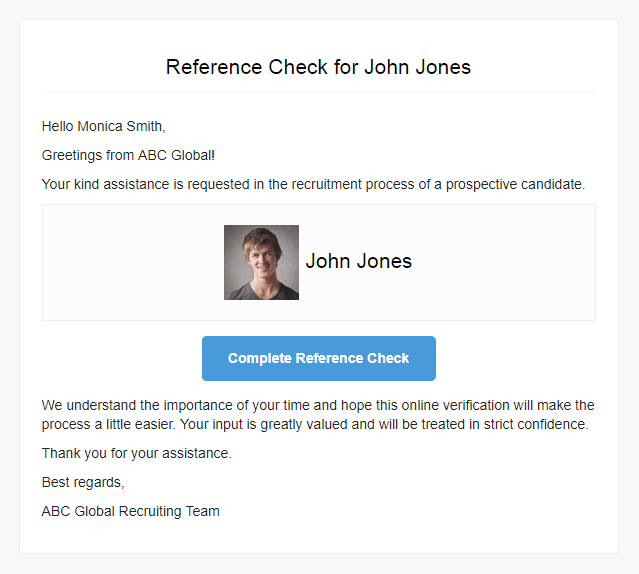 Jobsoid allows you to share candidate information to verify references over email. You can confirm candidate details and also capture feedback from references. A verification email containing the link to Candidate Details page will be shared with the references. They will also be able to rate the candidates on the defined criteria and share their feedback in the form of a comment.